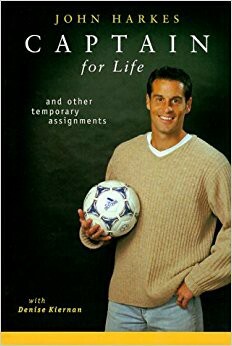 On 14 April 1998, manager Steve Sampson dropped captain John Harkes from the U.S. World Cup squad in a decision that would not be fully explained for almost 12 years. 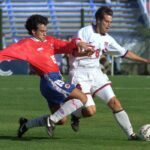 Harkes first joined the national team in 1987 while still a student at the University of Virginia. 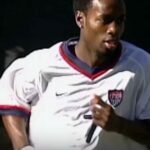 He quickly secured a regular starting position in the midfield and helped the U.S. qualify for the 1990 World Cup — their first since 1950 — and played every minute for the U.S. in the tournament. 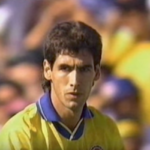 He returned to the World Cup in 1994 as the U.S. advanced out of the group stages, but missed the Round of 16 match-up against Brazil because of an accumulation of yellow cards. Brazil won 1–0. Steve Sampson took charge of the national team in 1995 and, shortly afterward, named Harkes his “Captain for Life.” But on 14 April 1998, after the U.S. had qualified for that year’s World Cup, Sampson dropped Harkes from the team, citing a variety of reasons such as reluctance to play defense, missing team flights, and ignoring curfew. Harkes denied the allegations, but claimed that, even if they were true, they did not justify his exclusion from the squad. In any event, the U.S. finished the 1998 World Cup without a single point. To date, Harkes has refused to comment on the accusations.